Running your own DNS server will speed up IP address to Name resolving process. 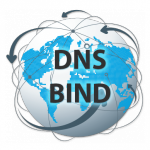 Linux DNS Servers Setup and Configuration based on Bind9 can be very complex depends on the Web Hosting needs. If you are running a Single VPS Web Hosting Solution, then the Setup can be very simple. Complex setup needed if the Web Hosting Solution is based on Multiple Servers, where Name Servers (DNS Server) are running on redundant dedicated machines. I believe, it’s crucial to mention this part at the beginning. As you probably know, nameservers or DNS is used to translate IP Addresses to human readable names. Based on your needs, you might need your own nameservers or rely on Public DNS servers to translate. I will explain when you need your own nameservers and the advantage of either route. For example, I personally use cloudflare to manage my domains DNS records, therefore, I don’t need to manage my own nameservers. However, at one point you might need to run your own nameservers so you or your users can manage domain DNS records using the Web Hosting Solution Control Panel, instead going to different panel. They provide you with domains DNS Control Panel based on redundant nameservers setup. At least 2 nameservers required. Their nameservers have setup securities against DNS attacks. Note: If you own only few domains, use your registrar or cloudflare for your domain DNS management and point only the records you need, A record would be for Web. In this case, no need to run your own nameservers. Even when you deal with users such families, friends, or customers, all they have to do (or you do it for them) is to point their domain A record to your server’s IP address to run their Website. That’s it. When do you need to run your own nameservers? Again, it depends on your relationship with your users, customers, and the service level agreement you are providing. If you own too many domains names registered from different registrars. Hosting your nameserver will enable you to manage all these domains from single interface. If you are lease host space on your server such resellers or clients want single interface for their domains DNS management, then you will have to manage your own nameservers. Bottom line, you don’t need to run your own nameservers if you own or dealing with few domain names. I rather use my domain registrar DNS control Panel or cloudflare instead, and point only the records needed to my Web Hosting Server. I will explain all this at the configuration Labs below.